Petty Morals captivating the crowd! 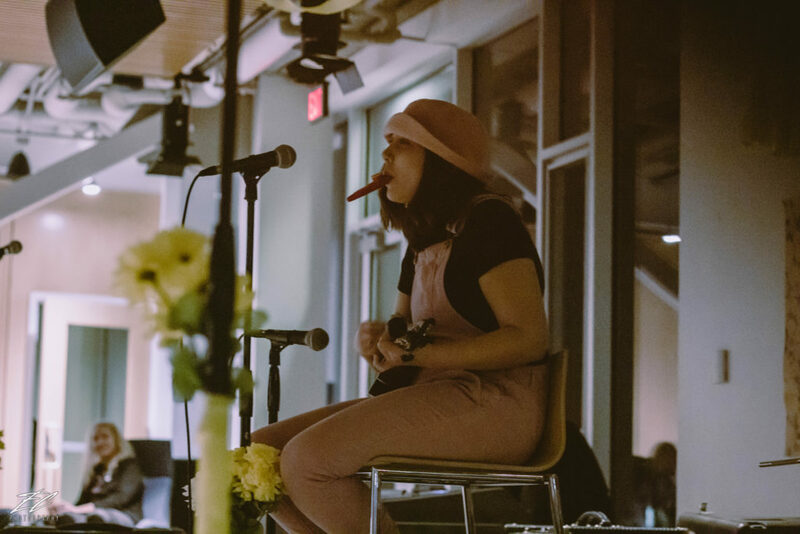 In honor of International Women’s Day, 91.7 WMWM Salem hosted a concert to put a spotlight on all the amazing female musicians in Salem. 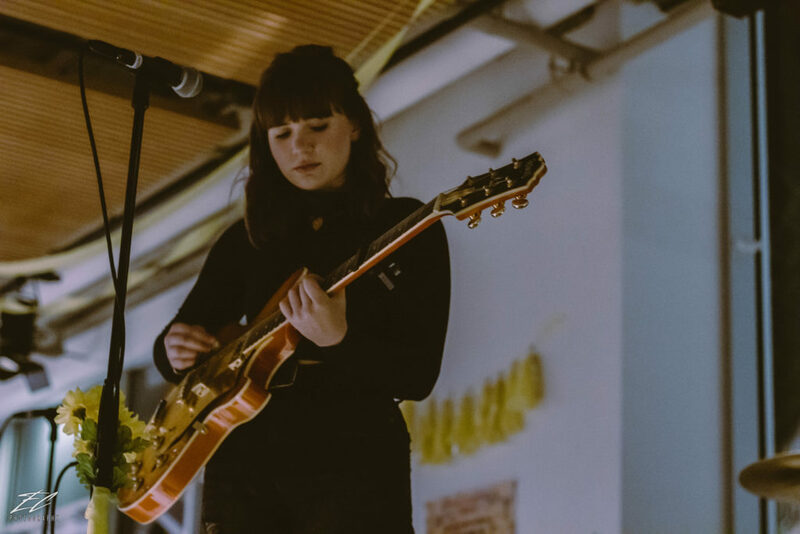 Aptly named “Girl Gig” featured sets from four Salem State acts all leading up to the ultra fun and high energy performance from Petty Morals. 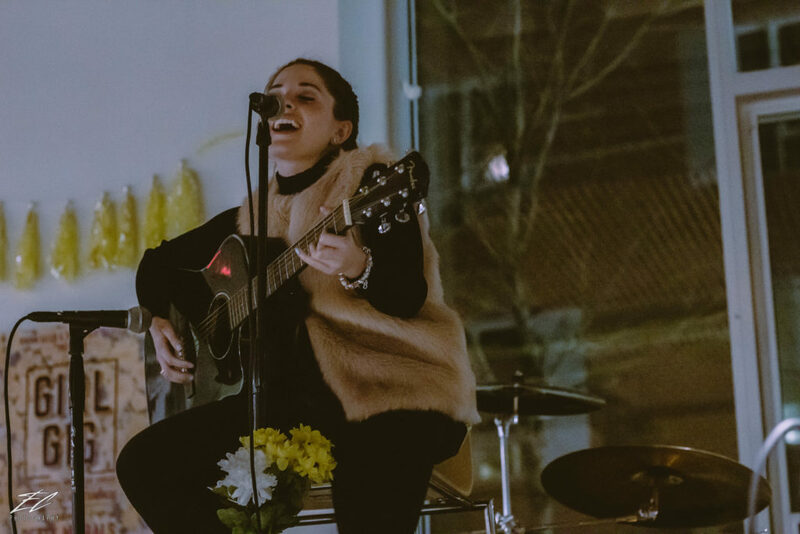 Alongside WMWM was the support of the Florence Luscomb Women’s Center..
WMWM Salem wanted to host an event that would empower female identifying musicians as well as bring awareness to several global issues affecting women. 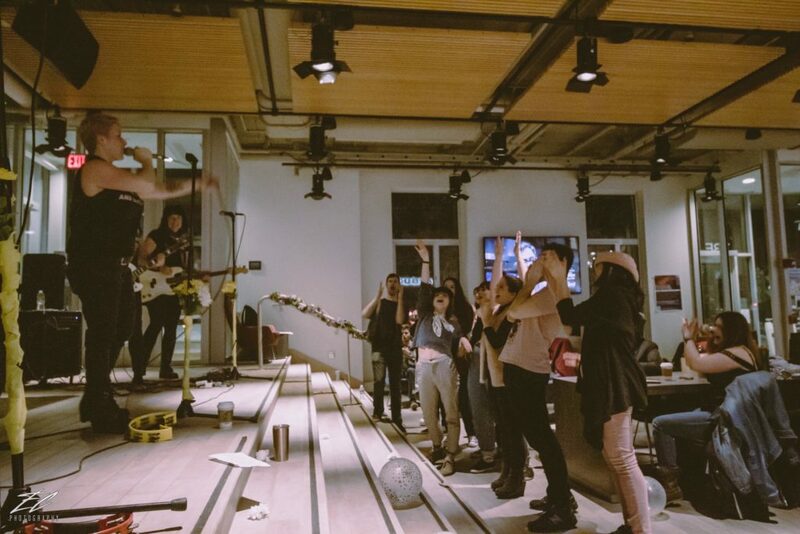 The advocacy projects covered included The Pad Project based out of Hapur, India, The Ontario Native Women’s Association, The Europe Abortion Access Project, and The Shuhada Organizationof Kabul, Afghanistan. The Women’s Center also handed out tampons, condoms and informational pamphlets on each issue. 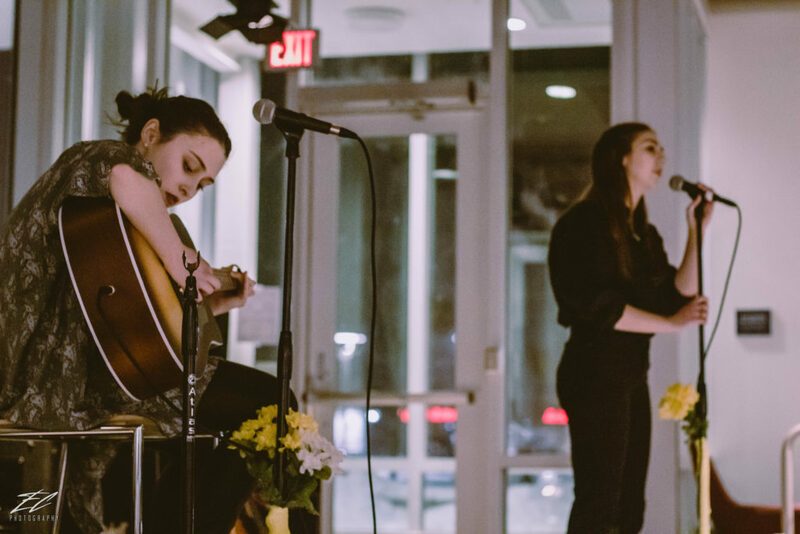 The student talent included Alyssa Cassias, Rachel Miele, CAMY, and The Fools Agenda. Each showed off their unique style as well as songwriting ability mixed in with some iconic feminist anthems. Miele chose to do a low key rendition of Linger by The Cranberries while The Fools Agenda went for a blues fueled cover of Dreams by Fleetwood Mac.